When it has finished downloading you will be asked to enter a root password. For the purposes of the tutorial I will be using password as a placeholder. Remember to use a strong password in a production environment. Then go to the administration console at http://localhost:4848. Go to Resources → JDBC → JDBC Connection Pools. You will notice there are two pools already. These are the default server pools and are not recommended for production usage. Click the New buttton. 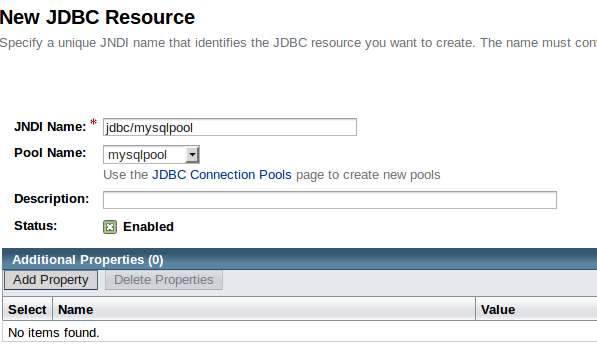 The pool name is how the connection pool is to be referred to when using it as a JNDI resource, which here I will set to mysqlpool. Set the resource type to javax.sql.DataSource and the database driver vendor is MySql. Then click Next. serverName – this is the location of the MySQL server. In this case, if the database is located on the same machine then this will be localhost. User – the username for the database. Then go to Resources → JDBC → JDBC Resources and click on New. 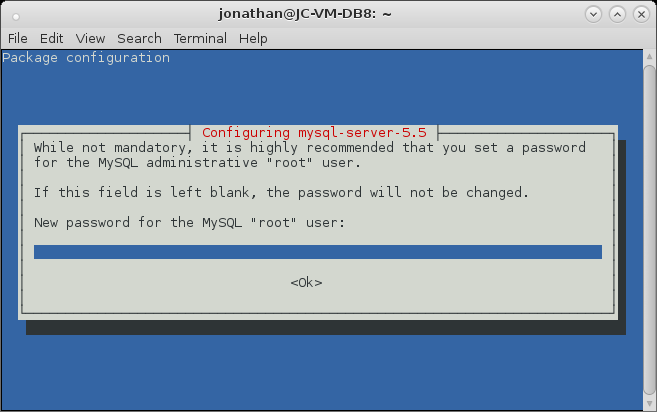 Enter the JNDI name that you wish to use and set the pool name to be 'mysqlpool', as set up in the previous step. Note that you can only use resources in a web container or a managed bean (i.e. CDI beans, EJBs etc. ).